Service and service activities are perishable, complex, and multifunctional in nature, because of which the production and delivery of services are inseparable. Services in manufacturing, however need to be treated in a different manner. In a manufacturing organization, while early market leaders focus on innovation, the quality of services rendered along the supply chain would help in developing loyal customers, resulting in enhanced business performance. Research demonstrates that service quality (SQ) has strong linkages with business performance, cost reduction, feeling of delight, trust, and loyalty among partners and consequently leads to profitability. However, the service dominance perspective that establishes the importance of intangible aspects such as service and relationship is still to be widely embraced in the manufacturing sector. The scholarly attention accorded to service quality in manufacturing is still in its nascence. 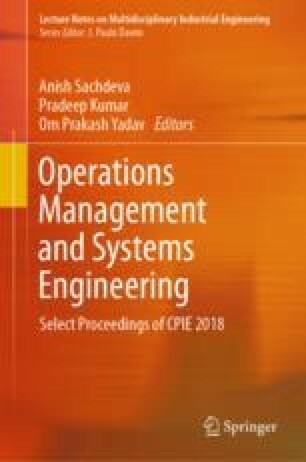 Against this preamble, this chapter aims to bring out a tailor-made framework to evaluate SQ at different interfaces of a manufacturing supply chain. This chapter conceptualizes SQ as a multidimensional construct, which operates at interfaces of supplier–manufacturer, manufacturer–employee, and manufacturer–distributor.